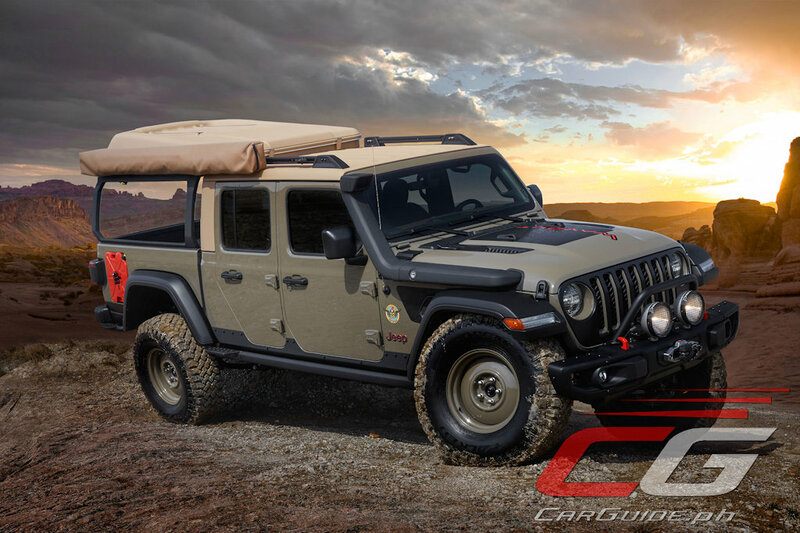 The Jeep Wayout is powered by a 3.6-liter Pentastar V-6 engine and mated to an eight-speed automatic transmission. 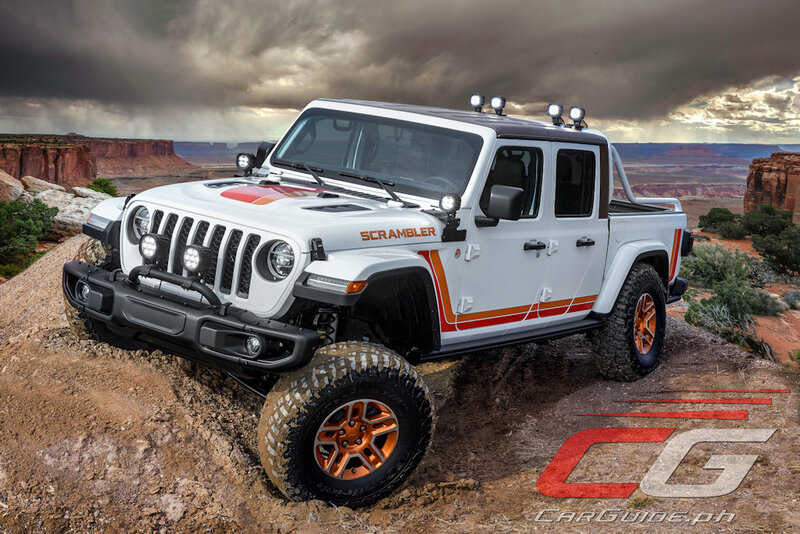 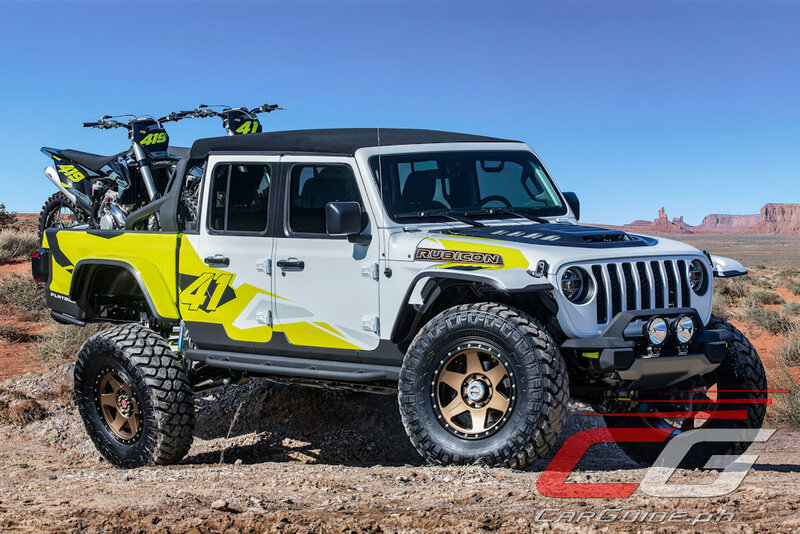 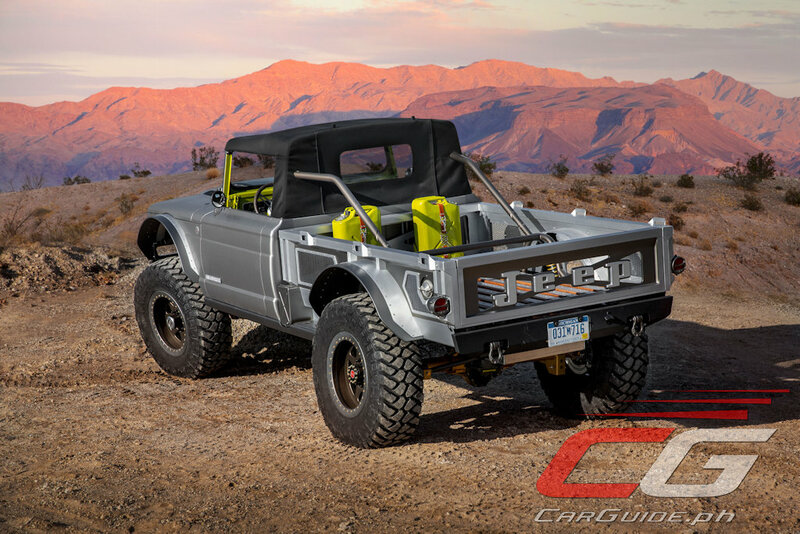 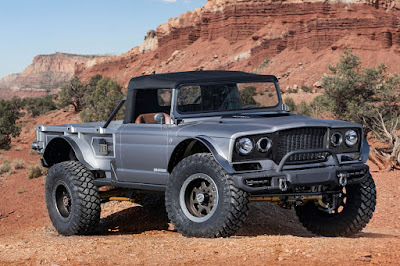 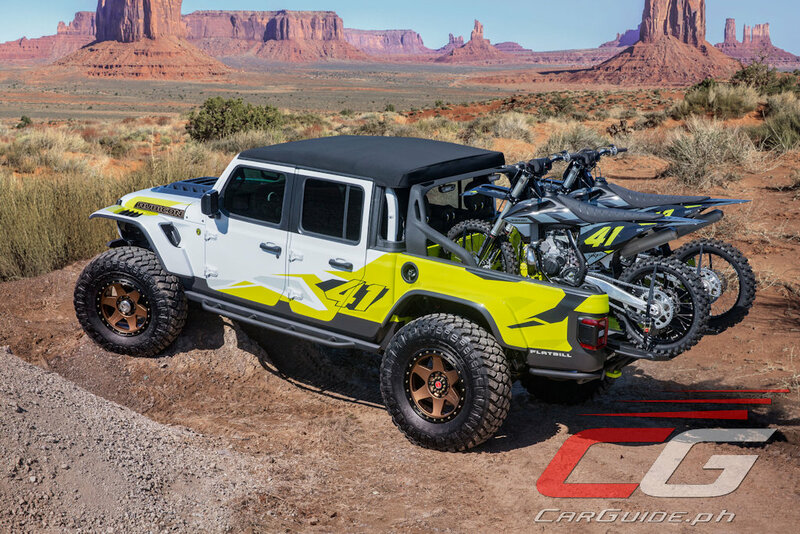 Power is provided to the Jeep M-715 Five-Quarter by a 6.2-liter supercharged “Hellcrate” HEMI V-8 engine, which produces more than 700 horsepower. 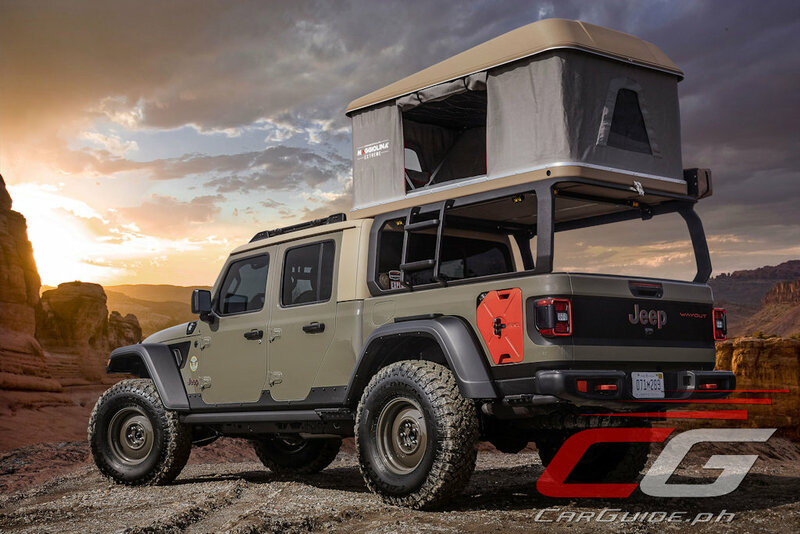 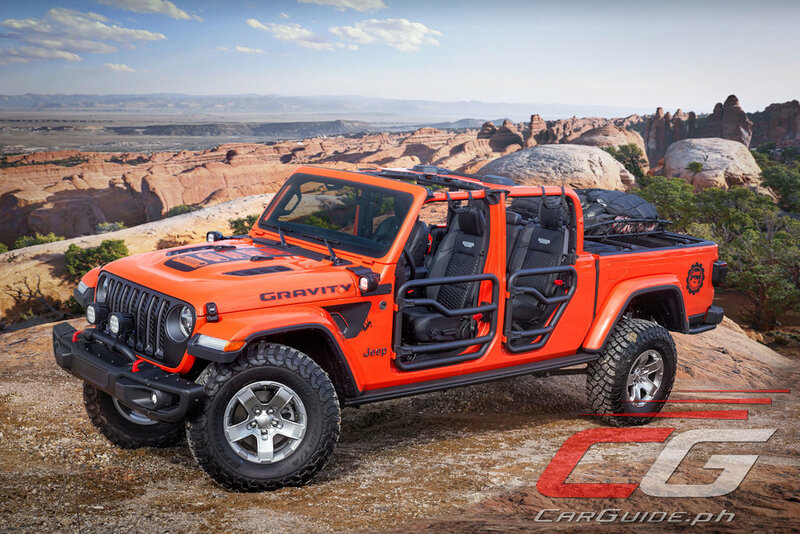 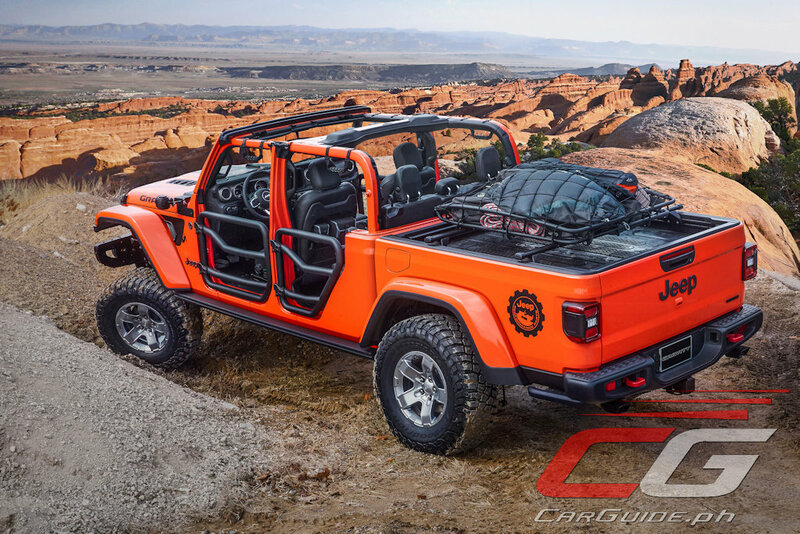 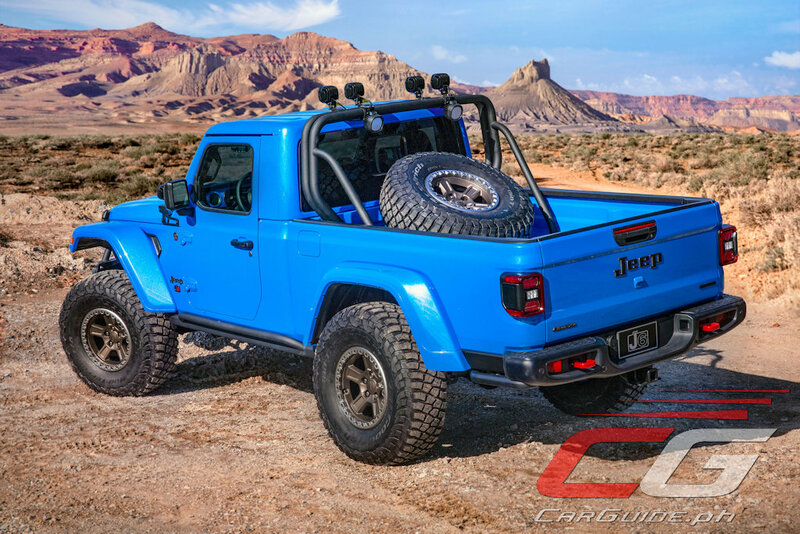 The open-air potential of the Jeep Gladiator is realized through Jeep Performance Parts two-inch round steel tube doors, a mesh sunbonnet that provides cover while keeping the top-down feel, and tie-down straps that secure the windshield when lowered.